UPDATE: And that's a wrap! The three winners have been notified via e-mail. Congrats to the winners! Thanks to Capcom USA for providing the codes. 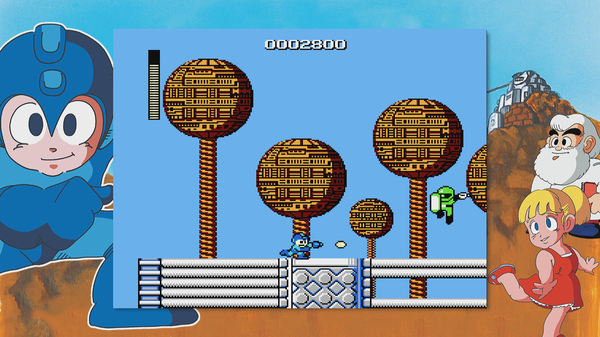 What better way to celebrate the launch of Mega Man Legacy Collection with a little giveaway? We've got three download codes to give away: PS4, Xbox One and PC. All you have to do is drop a comment with the following: your email address and console of choice. I'll choose three random winners in 24-hours at 9:45 pm CT, August 26th. To keep things safe and tidy, please remove all @'s and .com's when submitting contact info. When the giveaway closes and the winners have been notified, I'll kill the comments. Your info goes with it. Good luck and have at it!